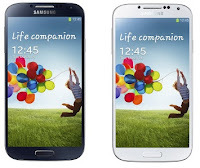 More rugged Galaxy S4 details are discussed as Samsung extend warranties in Africa and they announce their Q1 earnings! This is a bit of a mish-mash this post because there's been a fair bit of news about Samsung and their devices today, but it's all about various different things and there's not really an obvious way to clump it all together! The best place to start is with a little update to the news we brought you yesterday that Samsung are rumoured to be working on a 'rugged' Galaxy S4. Well the Wall Street Journal have waded in with their opinion of the phone today and they have said that the rugged version of the phone is being tentatively labelled as the Glaxy S4 Active at the moment. According to their sources the device is looking good for a July release, but the WSJ didn't offer any details about possible carriers or countries of availability. The WSJ also mention that there are a few more devices coming to the Galaxy line-up soon too! The paper explicitly mentioned a new 8" tablet is on the horizon, something which will be an intermediate device to the 7 and 10.1" tablets which will also be on offer. 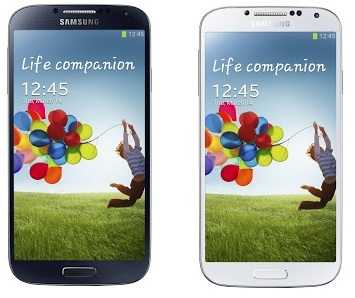 They also said that there is a Galaxy S4 Mini in the works and that will land in July with a 4.3" display! The second part of today's news is that Samsung have announced some extended warranties for some African countries which we would love to see offered in our neck of the woods! Samsung have announced a new accidental damage warranty which gives you two free accidental repairs on anything! The offer is available in South Africa, Nigeria, Kenya, Ghana, Senegal, Sudan, Tanzania, Ethiopia, Namibia, Zambia, Mauritius, Uganda, Cote d’Ivorie, Angola, Botswana, and Mozambique. The deal is easy to take advantage of, all you need to do is make sure you register your Samsung device as soon as you buy it! Obviously after your two free accidental repairs you'll have to cough up the money to fix the phones yourself and there's a chance this warranty will be offered on a larger amount of Samsung's portfolio in the future! And finally, Samsung have announced their Q1 earnings results and it's looking pretty rosy overall for the Korean giants, but there's a little bit of a slow down. For example Sammy reported an nice big net profit increase of $6.4 billion, but that came with more of a slow down in growth, which is in part because of their competition on the mid and low-end phone markets. Let's not be under any illusions though, this is still a 42% growth year on year, if we compare it to the sales from Q1 2012. As you would probably have expected Samsung is building this growth from sales of their smartphones, with the only real competition coming from Apple at the moment. Samsung weren't prepared to offer up any exact numbers today, but people guess that Samsung shipped somewhere near 70 million devices in Q1 something which helped the company to a new high in earnings. They earnt 7.15 trillion won, which was up from 7.04 trillion Q4 2012! Again the key area for Samsung was phones where they generated nearly three quarters of their profit from! The only bit of bad news for the company is possibly that they're struggling to get Galaxy S4's out of the factories at the moment, well at a rate which meets demand anyway, with . We expect Samsung to meet demand soon enough, but their fortunates are pinned heavily on the success of their mobile phones! Via TheVerge, GSMArena and Slashgear.